Affordable, powerful, efficient, technology-filled, safe… we’re sure you’re eyeing a long-list of traits as you’re pursuing your new ride. Incredibly, you can enjoy all of these advantages if you opt for the 2019 Chevy Sonic. Sure, the vehicle may be a bit smaller, but that doesn’t mean the nameplate should be underrated in any way. Rather, the vehicle still delivers everything you could possibly want from your new car, as well as a whole lot more. Once you’ve established that you’re going to opt for the 2019 Chevy Sonic, you’ll want to shift your focus to the buying experience. Fortunately, there’s no better place to opt for that new car than Carl Black Nashville. 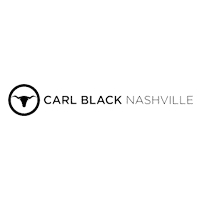 Before we explain why Carl Black Nashville is the perfect place to make your purchase, it makes sense to explore everything the nameplate provides. Despite its smaller stature, the 2019 Chevy Sonic packs quite the punch. We’re not just talking about the surprisingly powerful (and predictably efficient) engine… although that’s plenty impressive. Rather, we’re referring to the number of additional amenities that the vehicle provides. The interior technology allows you and your passengers to stay entertained and stress-free during any driving experience, while the wide range of safety functions will assure all of your occupants’ safety. The 2019 Chevy Sonic truly manages to deliver the optimal driving experience. 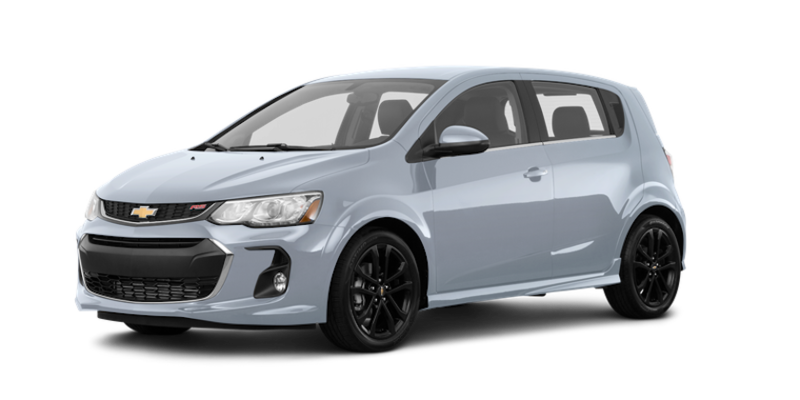 For those seeking an affordable ride that still delivers all of the attributes that makes Chevy’s rides so desirable, then there’s really no better choice than the 2019 Chevy Sonic. See why for yourself. Yeah, the 2019 Chevy Sonic is a small car… that shouldn’t be a surprise. However, what may be surprising is the amount of power that’s emanating from the nameplate’s engine. Drivers can expect a decent amount of power from their new ride, as well as respectable efficiency specs. When you consider this unique blend of power and efficiency, it explains why the Chevy Sonic is such a logical target. The 1.4-liter turbocharged engine may not look all that intimidating when you check under the hood, but the system still manages to crank out a whole lot of power. Drivers can ultimately anticipate a respectable 138 horsepower and 148 pound-feet of torque, meaning you’ll be more than ready to overcome your fellow drivers when you’re traveling on the highway. Of course, most importantly, the system is incredibly fuel efficient. At the end of the day, the engine is ultimately capable of delivering up to a 38-mile-per-gallon highway fuel efficiency. If you’re opting for the 2019 Chevy Sonic, you’re presumably looking to save a chunk of cash. Well, you’ll also have the ability to save some extra money at the gas tank when you opt for this small car. The main lesson here is that size isn’t everything. Just because the smaller 2019 Chevy Sonic may be equipped with a smaller engine, it doesn’t mean the system should fly under the radar. Chevy’s engineers did an excellent job of equipping their 2019 Sonic with a number of technological amenities. These inclusions will play a huge role in improving any driving experience, as the inclusions impact both convenience and entertainment. Drivers will likely be spending the majority of their time using the Chevrolet Infotainment 3 system, which is accessible via the seven-inch diagonal color touchscreen display. The unit already provides quick and easy access to an assortment of notable applications, but the accompanying Apple CarPlay and Android Auto compatibility takes that to a whole new level. Thanks to these inclusions, drivers can simply and safely access many of their smartphone’s basic functions via the touchscreen. This doesn’t only include their preferred playlists; rather, drivers will also have the ability to make phone calls or send text messages. If you’re really looking to take advantage of your interior’s technology, you can consider opting for the available built-in 4G LTE Wi-Fi system. This unit provides a strong wireless internet connection for up to seven devices. Therefore, if you’re required to complete any work while you’re on the road, you’ll never be forced to search for a diner or bar with internet. Rather, you can simply pull over and complete your work from the comfort of your own car. Just because the 2019 Chevy Sonic is a small car, it doesn’t mean your safety is compromised in any way. Rather, it’s the opposite, as the small car has been equipped with a number of safety functions that will keep occupants secure at all times. The Forward Collision Alert is one of the more notable offerings. Everyone occasionally loses focus while they’re operating a vehicle, and they might not have enough time to adjust to an imminent collision. This technology will alert the driver of the impending danger, providing them with enough time to adjust their driving path. Meanwhile, the Lane Departure Warning relies on built-in sensors to determine when you’re straying between lanes. The Rear Vision Camera will prove to be especially useful when you’re in a parking lot, as drivers can monitor everything that’s happening behind their car at all times. Of course, that will only be needed when you’re reversing out of a spot. After all, the Rear Park Assist will help guide a driver into a pesky parking spot, allowing them to avoid any fender benders. Drivers will be able to remain secure when they’re traveling in the 2019 Chevy Sonic, and this can mostly be attributed to the preventive safety functions. In the event that you do run into some issues with your brand-new car, you won’t have to worry. After all, Chevy includes the brand’s Complete Care warranty to each of their 2019 Chevy Sonic, meaning you can rest easy while you’re behind the wheel. This warranty includes some basic maintenance that will come in handy throughout the first few years of ownership. For instance, drivers can capitalize on one maintenance visit, which includes a tire rotation and an extensive inspection. Drivers will also have access to one-month of Chevy’s connected services, one month of OnStar’s safety features, and one month of the 4G LTE Wi-Fi hotspot. Of course, that only skims the surface of the warranty. Drivers can also capitalize on a five-year/60,000-mile 24-hour Roadside Assistance package, as well as a five-year/60,000-mile Courtesy Transportation/Powertrain Limited Warranty. To top it off, they added their three-year/36,000-mile Bumper-to-Bumper Limited Warranty. In other words, you’re truly covered at all times. What do you tend to look for from a dealership? Generally, customers want a vast, affordable selection of new and used vehicles, a number of useful services, and the utmost convenience. Unfortunately, that isn’t always possible when you head into a standard car seller, as these dealerships tend to only deliver on one single attribute. However, Carl Black Nashville has managed to provide customers with all of these attributes, leading to the optimal buying experience. Every dealership seems to tout their inventory and competitive prices. However, few of these businesses can actually back up their talk. Fortunately, Carl Black Nashville is one of the few that can, as we are indeed fully stocked with a number of affordable vehicle options. We consistently have more than 300 new models sitting on the lot, providing customers with plenty of options to choose from. While we’re sure now have the 2019 Chevy Sonic circled on your list of potential targets, it’s still a good idea to see what other options are available. At Carl Black Nashville we even have a handful of certified pre-owned vehicles on the lot. These offerings are different than their used counterparts, as the CPOs have undergone an extensive inspection process before even hitting the lot. Meanwhile, Carl Black Nashville is at your service before and after you’ve purchased your new car. Our willingness to assist customers at every turn just emphasizes why we’re one of the best dealerships in the area. If you’re currently shopping for a new car despite your lackluster credit, Carl Black Nashville is more than willing to help finance your ride. We aren’t exactly a buy here-pay here dealership; rather, we’re a new-car dealership that wants to make it possible for customers to make a purchase. The finance team will work with the prospective buyer to figure out a financial plan that makes sense for both sides. Furthermore, the service department can quickly get your car back on the road, and it won’t break the bank to take advantage. Whether you need simple maintenance or a bigger repair, you can stroll into Carl Black Nashville at any time to get the vehicle back in working condition. Finally, we all know how stressful the car-buying experience can be. Fortunately, Carl Black Nashville’s flexible hours means you’ll never have to shift around your schedule in order to visit the business. The dealership is open seven days a week, and that includes their 8am start times on Monday through Friday. Add in our weekend hours, and you’ll never struggle to find time to visit Carl Black Nashville. The service and parts department also provides customers with flexible hours, as they’re only closed on Sundays. They even open at 7am, allowing you to quickly sneak in before you head to work. Best of all, you won’t have to drive around aimlessly trying to find the dealership. Rather, Carl Black Nashville is located right on Tennessee State Route 1, allowing you to quickly hop off the highway and visit the business.